You are a drug developer selling in India. What would you do if you had to choose between developing a drug that would cure 80% of the people who had a certain condition for $1/day or a drug that would cure 99% of the people for $200/day? This was one of the questions posed by Anil Gupta, professor at the Indian Institute of Management, executive vice chair of the National Innovation Foundation – India and founder of the Honey Bee Network, when he visited MaRS for an event co-hosted by SiG@MaRS and the Queen’s School of Business Centre for Responsible Leadership, in collaboration with TiE Toronto. Anil created the Honey Bee Network to support grassroots innovators after seeing how the rural poor of India were rich in knowledge and talent, developing myriad inventions out of necessity, but did not have the resources to scale up and convert these innovations into viable products. The Honey Bee Network brings together innovators, farmers, scholars, academics, policy-makers, entrepreneurs and non-governmental organizations through which a cross-pollination of ideas, creativity and grassroots genius takes place. Anil describes the network as taking the nameless, faceless innovators of India (and beyond) and bringing them into a network where they get an identity. He calls his work “inclusive innovation.” This concept may be best demonstrated through the following example: Drinking water through pumps often wastes the water, so a grassroots innovator in India developed a two-sided pump: one side for drinking, the other side for filling a bucket and trough that catches the unused water for animals. Inclusive innovation is a concept that starts with the needs of the user, but also considers economics, the environment and animals. Another example: In India, women carry very heavy baskets on their heads for miles. They often don’t put the baskets down for much-needed rest because they would not be able to lift them up again when they continue their journey. An innovator—simply someone who cared—set up tall table-like entities on which women could rest their baskets along their journey. Anil describes the value of engaging everyone as innovators—particularly children, who have not yet been told they must do things a certain way. They know that “wrong answers” can be the drivers of innovation. His advice to parents: Simply get out of the way. He also puts belief in self-correcting design and suggests we allow time for autopoiesis. He made it very clear that we can ignore grassroots innovators, but by doing so we are missing terrific opportunities. He explained the limits of seeing people through one lens as the bottom of the pyramid—a term that only categorizes people based on their economic status, not on the much more important dimensions that include creativity, values and the ability to innovate. 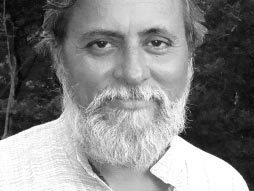 For more information on Anil Gupta, you can read his national and international publications, listen to his TED talk or visit his blog. What a pleasure to meet Anil as he actively works to promote technological and social innovation-based entrepreneurship, policies, institutions and networks, and to support social change agents.